news Experienced Australian investor Domenic Carosa has led the establishment of a US$30 million investment fund which will directly invest in companies that are leveraging services based in Bitcoin and other crypto-currencies. Carosa, who will act as the new fund’s chair, already leads the Future Capital Development Fund, an Australian-based investment fund which has invested in a wide range of technology businesses in Australia, especially Internet plays focused on transactional services. In a statement issued this week, Carosa revealed he had now set up the Future Capital Bitcoin Fund (FCBF), which will be an Australian-headquartered investment fund. The fund will source opportunities globally for companies facilitating payments, exchanges, trading and smart property rights based around the Bitcoin digital currency ecosystem. The fund, which is operational from May, is currently accepting investments from investors around the globe in AUD, USD, RMB and Bitcoin (BTC), and is also open to receiving expressions of interest from companies interested in applying for investment from the fund. “Bitcoin has the potential to dramatically alter the manner in which transactions take place across the globe and the power to create new modes of financial connectivity, seamlessly across borders,” said Carosa. According to the statement, the FCBF team has investment and operational experience with Internet, mobile and tech start-ups along with specialist transactional and payment authentication expertise. With over 50 years of collective investment and funds management experience, the team have been involved with over 100 start-up companies, 4 previous funds, managing and raising more than $150m in investment, growing businesses from $0 to $100m in revenue and listing them. Bitcoin is a global phenomenon, and the Australian-based team has global experience across Silicon Valley, Hong Kong, The Netherlands and Germany. “This is a very exciting opportunity for global investors to participate in the Bitcoin ecosystem via Future Capital’s Bitcoin Fund. Australia has low sovereign risk and a globally trusted financial system,” said Carosa. Applicants to the fund will be managed by Investment Manager Holger Arians, experienced in corporate finance and strategy supported by Fund Manager Remco Marcelis, a seasoned tech company CFO/COO and venture capitalist. “The concept of a global crypto-currency is probably the most disruptive innovation I have seen in the last 10 years. I believe that Bitcoins will change the way we live, travel and do business,” said Arians. The FCBF Fund is conditionally registered as an Early Stage Venture Capital Limited Partnership (ESVCLP) under the Australian Venture Capital Act 2002, which will provide investors in the FCBF fully tax free returns, on income and capital account. “We view the emerging Bitcoin ecosystem as an investment opportunity that has transformative potential across a raft of social, technology- based and cultural applications and we see great scope for the broader adoption of Bitcoin and its related applications to redefine the global payment status quo,” Carosa added. The rise in popularity of Bitcoin over the last three to five years is due in large part to the growing ecosystem of companies that are both supporting it and looking to enable opportunities in and around the core currency and protocol. “We are already actively participating in the evolving Bitcoin space and we see that it is at an inflection point and ready for seasoned investors to assist in bringing financial and entrepreneurial experience to this market,” Arians said. Arians will be attending the Global Bitcoin Summit in Beijing from 10-12 May and Carosa will be attending the European Bitcoin Conference in Amsterdam from 15-17 May to promote the fund. The news comes as Carosa has personally also become further involved in the Bitcoin scene. Also this week, the executive issued another media release noting that he had been involved in setting up a new global Bitcoin mining operator, BitCoinCloudMining.com, which is owned by a new group known as Bitcoin corporation. The high power mining platform has been designed to reduce complexity for investors, according to its statement, and offer the easy creation of a passive Bitcoin income without incurring the cost of mining hardware and operations. 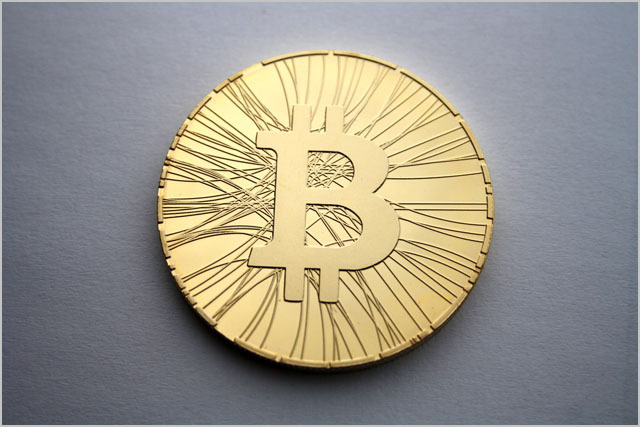 “Bitcoins are changing the way we live, transact and do business. The digital economy has removed the traditional restraints of geographic boundaries with the rise of bitcoin currency facilitating the evolution and growth potential of both private and commercial transactions in ways that the market has not yet conceived,” said Carosa, who is Bitcoin Corporation’s founder and chairman. Bitcoin Corporation also owns BuyaBitcoin.com.au, where Australian users can buy the currency, with further Bitcoin based products and services in development for the online interactive gaming industry. According to the release, arecent report from investment firm Wedbush Securities estimated that over US$200m was spent on Bitcoin mining equipment globally during 2013 with the utility costs of running the equipment continuing to rise. The entry of BitCoinCloudMining.com, the company said, provides relief from these rising operating costs for individual Bitcoin miners by removing the overheads from the process and delivering simple access and an easy to use interface to the Bitcoin process. “The Bitcoin mining market continues to shift rapidly from isolated operators to more evolved, entrepreneurial ventures creating the opportunity for individuals to get involved without onerous investment in fast equipment and utility costs,” Oliver said. BitCoinCloudMining.com offers users subscription-based services and is committed to “the secure and consistent provision of newly mined Bitcoins over the long term”. “As an early adopter of the bitcoin technology, the Australian market also provides an accommodating regulatory ecosystem. The recent launch of Australia’s first bitcoin ATM’s is a promising sign that the market is seriously embracing this new digital currency,” Oliver said. There are also other Australian organisations actively involved in mining Bitcoins. For example, this morning digitalBTC, which recently listed on the ASX through a reverse listing with Macro Energy, noted that it had mining in excess of 1,700 Bitcoins in 42 days after it had installed BitFury mining hardware on 20 March this year. The company also operates Bitcoin trading facilities. As a key component of digitalBTC’s business plan to maintain its mining hardware at the forefront of current Bitcoin mining technology, and in preparation for the receipt of the second instalment of $2,000,000 of BitFury hardware, digitalBTC has sold a portion of its first instalment of BitFury mining hardware. These initial contracted sales of hardware have been at a premium to the original cost price, with the funds from these sales helping to finance future hardware acquisitions. digitalBTC’s executive chairman Zhenya Tsvetnenko said the strong performance of the digitalBTC mining operations and trading desk during the past few months had endorsed the company’s business strategy as it related to mining and trading of Bitcoin. “We are very pleased with our initial Bitcoin mining operations, including the returns generated by liquidating a portion of the hardware at a premium to the cost price to keep at the forefront of mining technology,” said Tsvetnenko. “Our returns generated by the digitalBTC trading desk during the past few months have also been excellent. Looking forward, the more significant value creation opportunities that we are building towards are the retail, mobile focused products that we have in development. Our aim with these products will be to capture the rapidly increasing demand for simple and easy to use digital currency applications,” said Tsvetnenko. Wow. Huge amount of local investment in Bitcoin. I sense a gold rush going on here — something like the first dot com boom. Is this justified? Hard to tell at this stage. But Carosa is talking serious cash.